It's about trust. professionalism. relationship. I’m passionate about working with clients who are willing to work hard on areas of life that just aren’t working. Specializing in the uncertain, compulsive challenges of OCD and Addictions, I have years of focused training, education, experience, and positive outcomes in these deeply demanding domains. I am uniquely equipped to dig into solutions when there is great confusion about what to do. A strong framework has been developed to be a “Specialized Generalist” in addition to my main two areas of focus. What this means is that I successfully work with a wide range of topics (what person only has one struggle in life? ), ultimately unified by the central tenet of helping clients move through major blockages that are holding them back. Some of the most common are Anxiety & Fear, Panic, Depression, Trauma, Relationships & Marriage, AD/HD, Personal and Spiritual Growth, & Career Counseling. With regular, ongoing assessment, your progress and goals will be tracked and followed up with to make sure your needs are being met. I believe one of the most healthy things a good practitioner can do is to know when additional or different help is needed. I will tell you quickly if I cannot be of help, and provide the best hand-picked resources- so that you can save your time, money, and energy to focus on what matters to you! Both Adults and Adolescents are seen in my practice, where I provide Individual, Couples/Family Facilitation, and Group Therapy- please read more in the respective tabs: "Treatment Areas" and "Services." ​I have a huge heart for overall healthy relational and mental health. Christ-centered counseling for clients who request it implements evidence-based psychology and practice while diving deeply into faith and its implications. For those not seeking this approach of Christian Counseling, please note that people of most major beliefs and perspectives have found a comfortable fit in my practice- and success- as my focus will remain professional and respectful of you, pursuing the other treatment goals I am experienced at addressing. Whether you simply need a consultation, limited visits to work on short-term goals, or if you desire longer-term therapy, I make a strong investment in assessment- to be efficient and focused. Anxieties and uncertainty about finding a therapist are normal- I will work hard to build your trust and connection while discovering outcomes that countless clients have been grateful for. It is my humble privilege to assess and review our work together regularly, so if you need additional resources and/or different therapy altogether, I can be ready to assist you. I will respect you AND your time, money, and effort by openly communicating recommendations and plans as needed. Cognitive Behavioral Theory (CBT) is my predominant theoretical approach, while I also borrow the best insights and research from several approaches, particularly Psychodynamic, additionally Family Systems, Dialectical Behavior Therapy, Acceptance and Commitment, Gottman Method, and Motivational Interviewing. My Master’s in Counseling is from Dallas Theological Seminary, and my Bachelor’s Degree in Psychology is from Crown College (Minnesota). My counseling services began in 2007 at the internationally renowned Meier Clinics in Richardson, where I gained experience and training in their Outpatient and Day Hospital Programs. I became the Adolescent Program Director for the Addicare Group in Garland treating substance abuse before working Inpatient and Outpatient at UBH Denton, where I continued to hone general skills along with Addiction and OCD therapy. In Private Practice since early 2011, it has been my goal to become an expert therapist who helps individuals and communities develop mental and relational health through therapy, training, and education (check out my "Professionals" page for additional information). I am a member of the International OCD Foundation (IOCDF), the Texas Association of Addiction Professionals (TAAP), licensed as an LPC by the Texas State Board of Examiners of Professional Counselors, and an active member with Psychology Today and Good Therapy. I am BTTI and Advanced Forum BTTI trained through the International OCD Foundation, one of the most advanced offerings available for the treatment of OCD and related disorders. 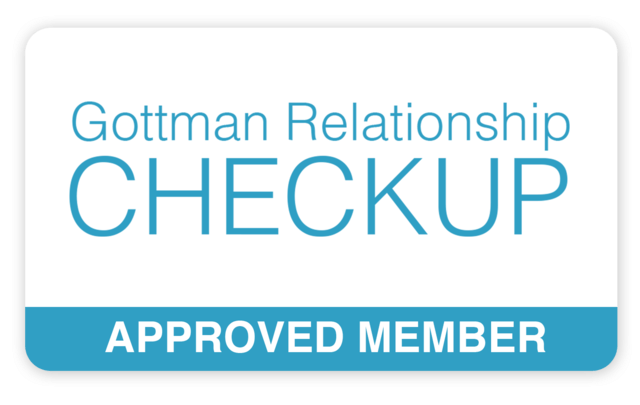 I have received Gottman Level 1 Training for Marriage Counseling and utilize the Gottman checkup when requested in addition to Gottman Method. Simply put, one person put it like this: "You're like a personal trainer for the brain." I like that description.